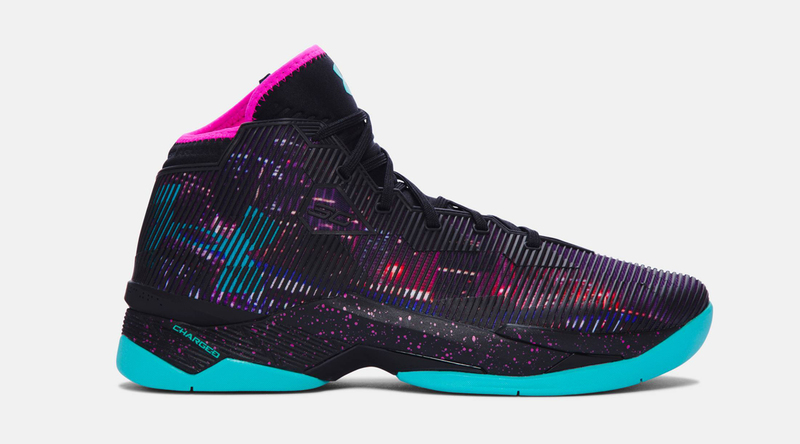 Paying homage to the city of Miami comes a special colorway of the Under Armour Curry 2.5 featuring a colorway of black, purple and teal. The Under Armour Curry 2.5 has seen it’s fair share of team colorways since it’s debut but now, UA is switching up the themes for the fall season with a Miami inspired banger. 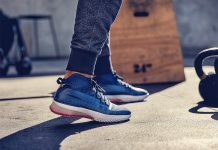 The UA Curry features a fire display of colors offering fluorescent tones on the 2.5 model, with city light graphics on the upper panels. 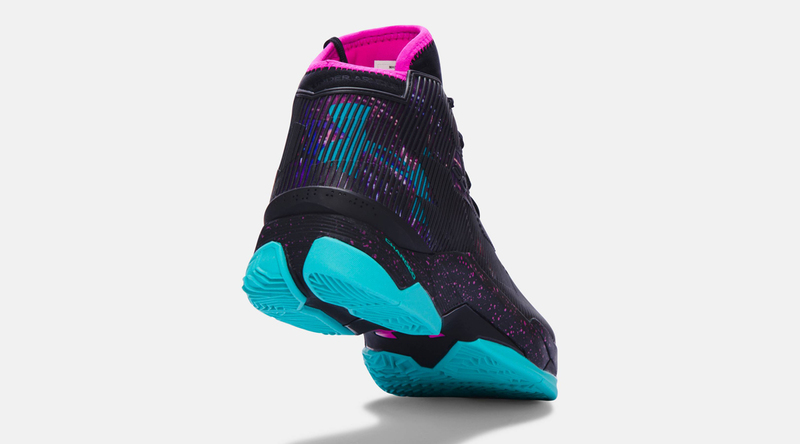 Look out for the Under Armour Curry 2.5 “Miami” to release at Under Armour retailers across the globe on September 24th.